John Walker began at Media General in 2005 as the online producer for WJTV News Channel 12 in Jackson, Miss. before relocating to Opelika, Ala. in March of 2008. 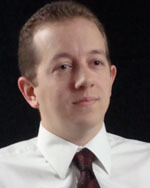 He is currently the website coordinator for OANow.com and WRBL.com. Walker oversees online multimedia content for the sites and works with other news properties in sharing content. He has run production of various weekly video projects involving talent from the newspaper including sports, news, and community.